7Do you need help with Grails? 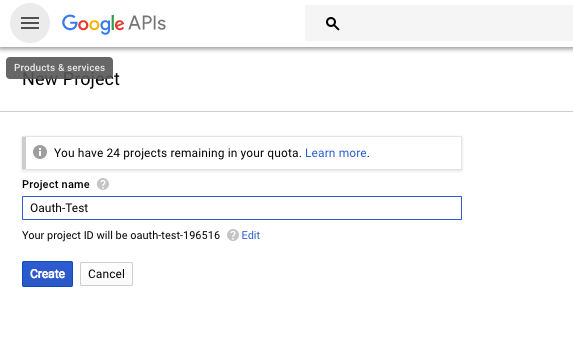 In this guide we will show you how to add Google OAuth2 authentication to your app using the Spring Security Rest plugin. initial Initial project. 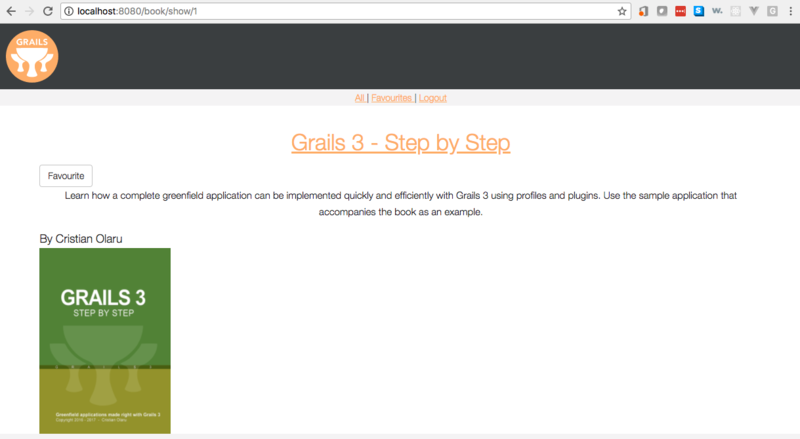 Often a simple Grails app with some additional code to give you a head-start. complete A completed example. It is the result of working through the steps presented by the guide and applying those changes to the initial folder. and follow the instructions in the next sections. 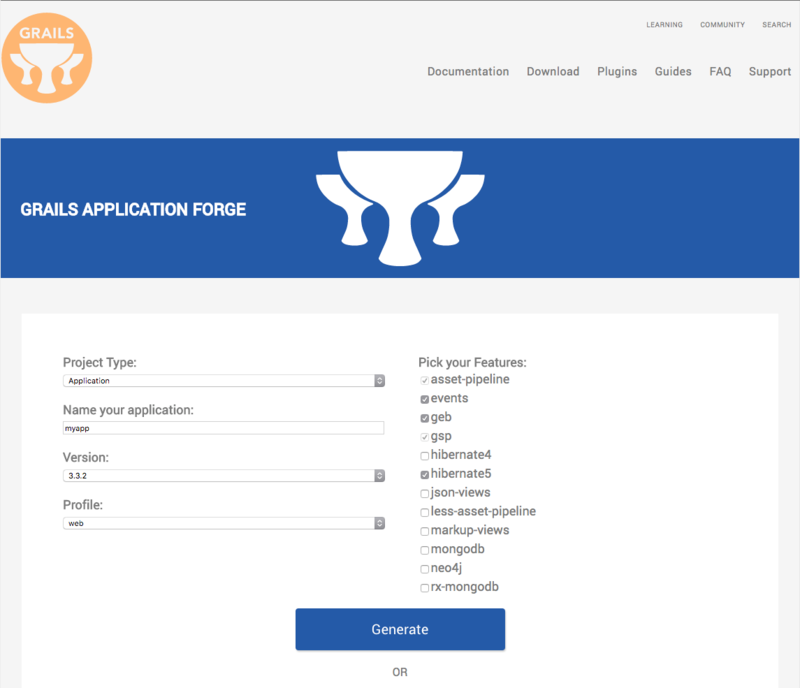 If you want to start from scratch, create a new Grails 3 application using Grails Application Forge. OAuth2 is an industry-standard authentication protocol used by many Fortune 500 companies to secure websites and applications. The mechanism by which it works allows for a third-party authorization server to issue access tokens by the account owner approving access. In our case we will be using Google so in more laymen’s term a Google user approves their account to issue access tokens back to the requesting application. 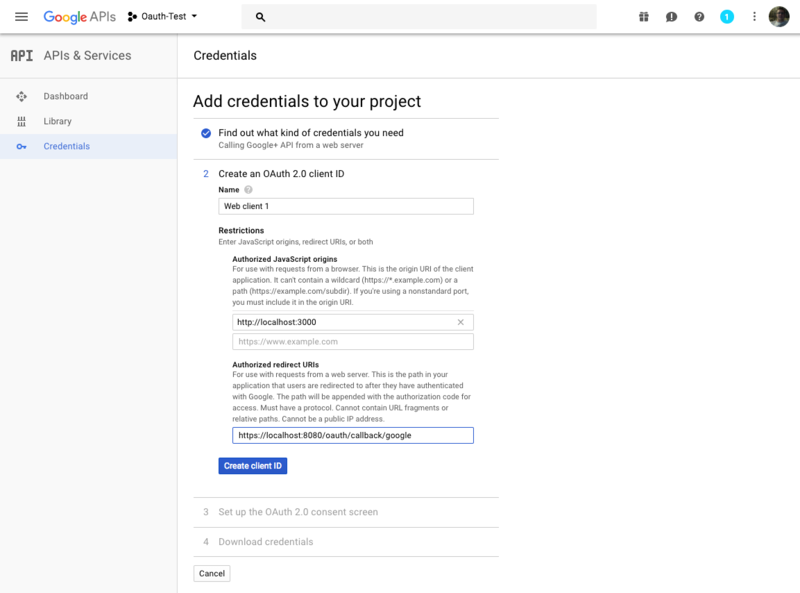 To get Google OAuth2 up and running on your application will take a bit of work and configuration on the Google Developer Console. Click ENABLE and wait a moment while it turns on. 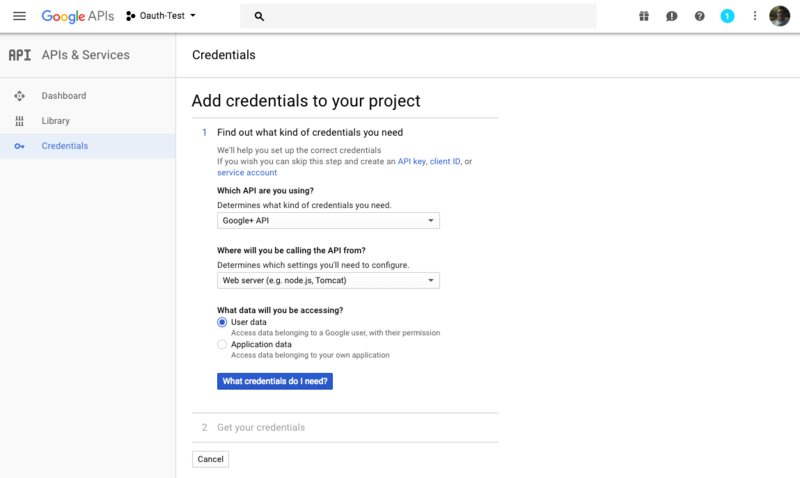 Step 1: Make sure Google+ API is selected with the Web server options and User data then click `What credentials do I need? That will bring you back to the credentials home page. 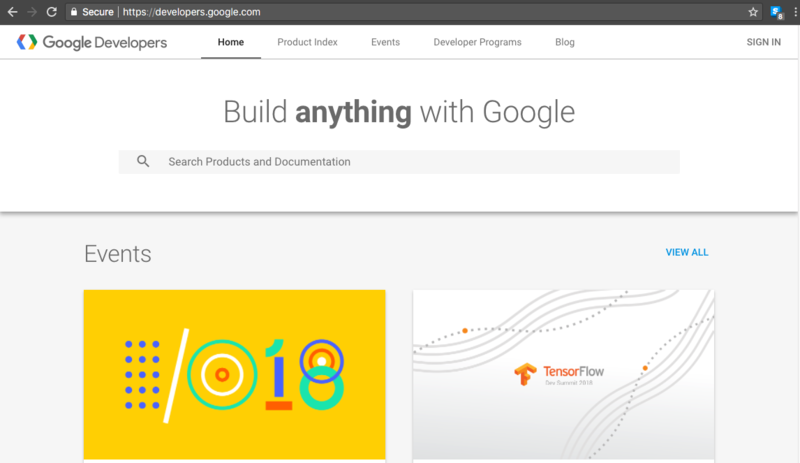 This is all the setup that needs to be done in Google. Now we will take a look at setting up our applicatin and the credentials we downloaded to connect our app. 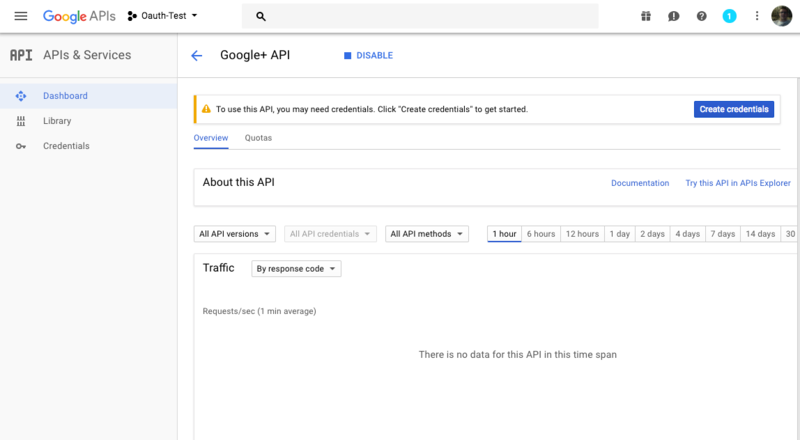 With all our Google configuration in place its time get our app configured to use security and connect using OAuth2 over REST through Google. The next diagramm describes the security solution we are going to implement. First thing we need to do is add the spring-security-core and spring-security-rest plugins to our build.gradle file. We override the default token reader to read the JWT token from the cookies. 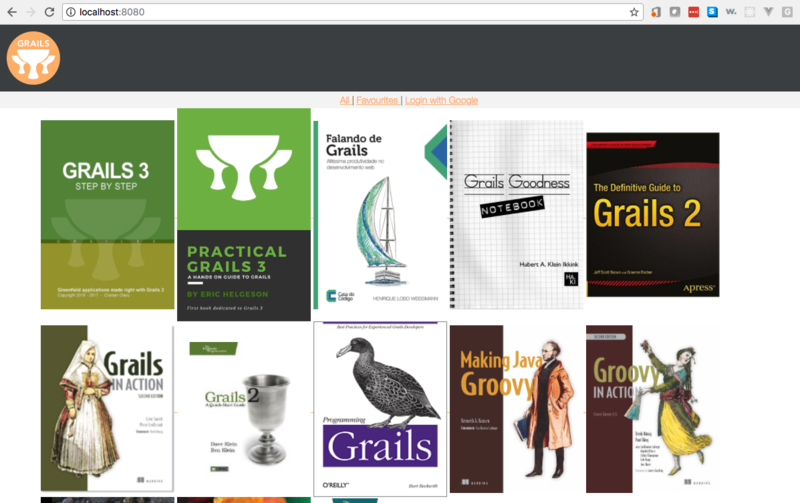 Register it in grails-app/conf/spring/resources.groovy as tokenReader. With our dependencies added, we need to configure security. Create a file application.groovy with the following content staticRules configuration. 1 You must disable bearer token support to register your own tokenReader implementation. 3 Required secret which is used to sign the JWT tokens. 6 Open your client_id.json you downloaded while setting up Google. You will supply client_id as the System Property GOOGLE_KEY when you start the app. 7 Open your client_id.json you downloaded while setting up Google. You will supply client_secret as the System Property GOOGLE_KEY when you start the app. 10 We are going to authenticate our users only against Google. Thus, we use only the anonymous authentication provider. Read more about Authentication Providers in Spring Security Core Plugin documentation. 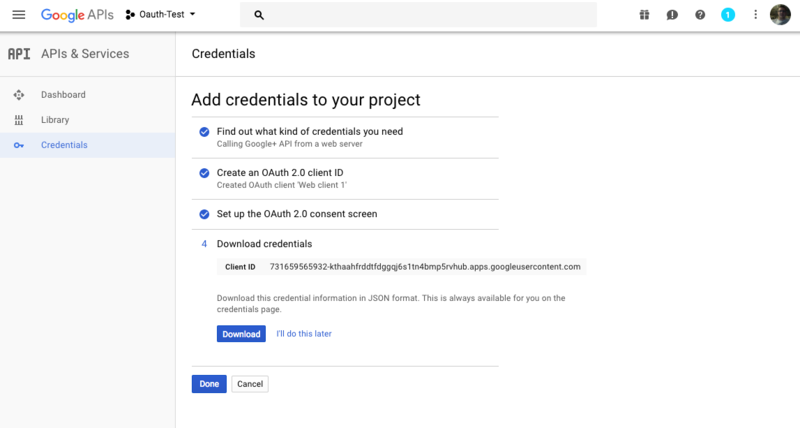 While the scope can be from any value of the enum org.pac4j.oauth.client.Google2Client.Google2Scope, if you use the default OauthUserDetailsService, you need to use EMAIL_AND_PROFILE. That is because the default implementation uses the profile ID as the username, and that is only returned by Google if EMAIL_AND_PROFILE scope is used. We want our app stateless by default with some endpoints which allow anonymous access. 1 stateless chain that allows anonymous access when no token is sent. If however a token is on the request, it will be validated. 2 /** is a stateless chain that doesn’t allow anonymous access. Thus, the token will always be required, and if missing, a Bad Request reponse will be sent back to the client. We are not persisting User information in the database. 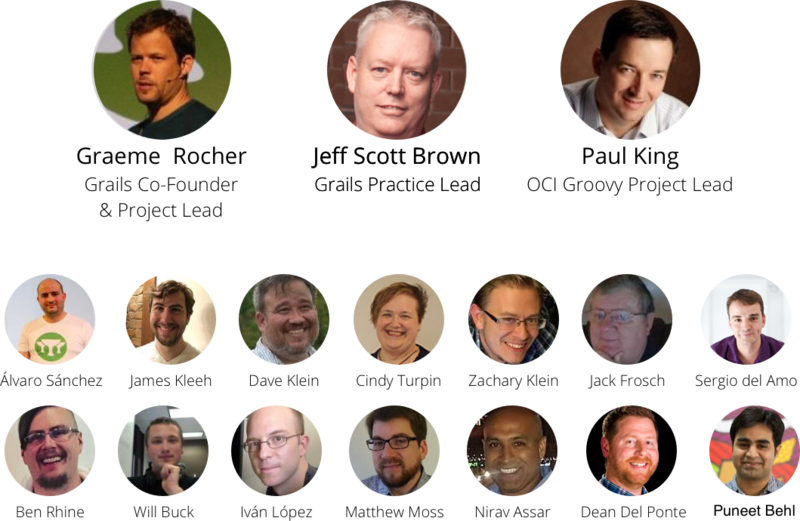 You may have noticed we don’t have User, Role, UserRole domain classes in the project. Neither we setup configuration values such as userLookUp.userDomainClass etc. Now we override the login/auth view. So that we no longer show a username/password form in that page. We don’t include a button to SignIn with Google in that page because we have included that button in root layout main.gsp file. Spring Security allows to register custom Logout Handlers. Register a new logout handler to clear the JWT cookie. We reuse CookieClearingLogoutHandler which ships with Spring Security. Add the custom logout handler to Spring Security Core plugin logout.handlerNames. Create AuthController.groovy. When the user logs in successfully with Google, AuthController.success is invoked. 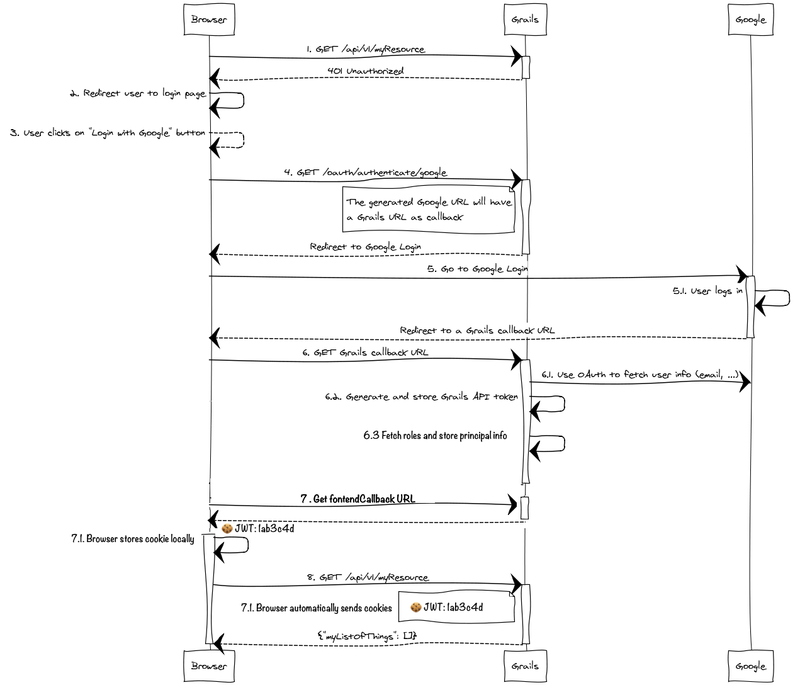 The path to AuthController.success is used in frontendCallbackUrl in application.groovy. 2 Responding a cookie with the same name and maxAge equals 0 deletes the cookie. Thus, it logs out the user. 4 Cookie won’t leave if you do http:// instead of https://. You should use https in production. 6 Use the same cookie name, the custom tokenReader we previoulsy defined expects. Due to the stateless nature of the security solution of this application. To log out a user involves the deletion the cookie containing his JWT token. The GSP of success action performs simple redirect to the home page. We do the redirect in the client side to ensure the cookie is correctly set. We will quickly put together an app that lists books and allows us to favorite them. The favorite button will only be available once we have logged in using google. At this point we will create our book data so we have something to work with moving forward. Go ahead and make your BootStrap.groovy match the following. The required image resources are already added to the initial project for you. Next we need to create our services to return all our books and our favourite ones. First we leverage data services for our basic functionality. Create a GORM Data Service for BookFavourite domain class CRUD operations. After we are done creating our service layer we need to get our controllers in place. First we have our basic book controller that can either return a list of all books or show a selected book. Next is our Favourites controller that can return a list of books we have favourited, and our action to favourite a desired book. We are finally ready to connect everything up with a functional interface. First lets create an index page for our books so we can see a list of them located at views/book. Next we will create a show.gsp also in views/books so that when we select a book we can view its details. Lastly we tie it all together in our layout file by adding a simple menu that allows us to select either all our books, our favourite books, or login / logout. We add this between the navigation div and the <g:layoutBody/>. 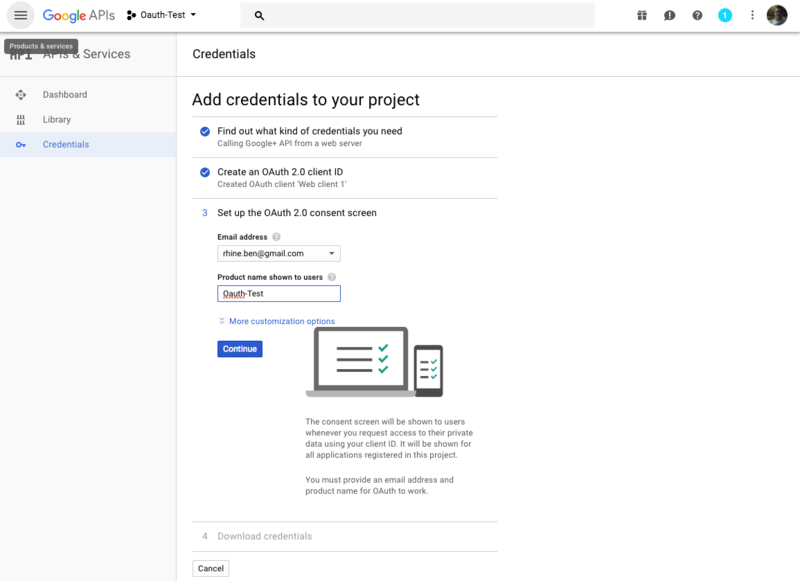 We create a template to contain our link to trigger our OAuth login through Google; the link /oauth/authenticate is provided from the spring-security-rest plugin and ends with the provider we are using /google for the link /oauth/authenticate/google. This will redirect you to the normal Google login / account selection you are already familiar with. 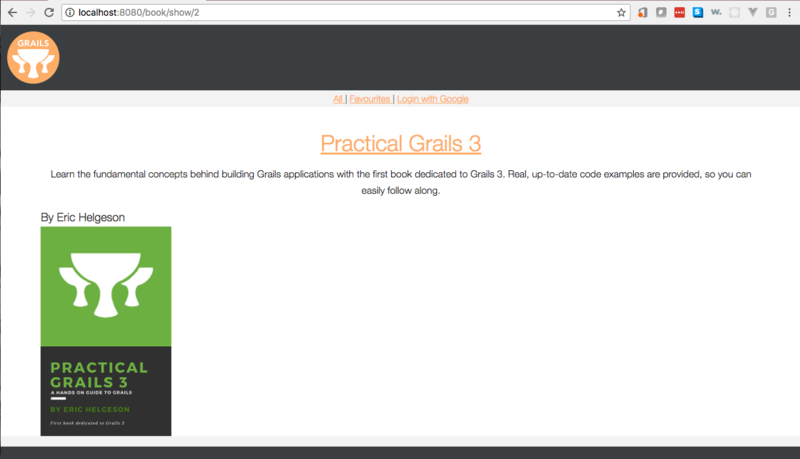 Run the app with Gradle bootRun task. as previously. Now that our app is running navigate to http://localhost:8080 to see the following. Select a book and see that no Favourite button is available when not signed in. Select a book and see that the Favourite button is now available. Click on logout and you will see our logout message displayed. 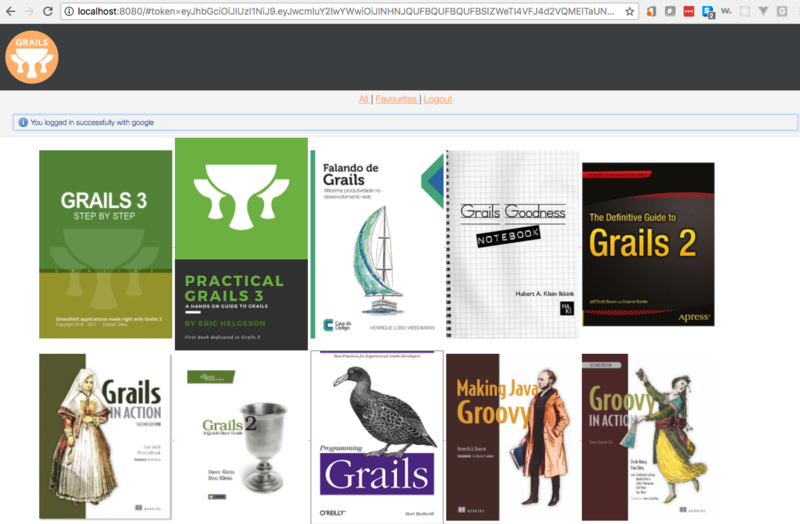 To further your understanding read through Grails Spring Security Rest and Spring Security Core documentation. 7 Do you need help with Grails?